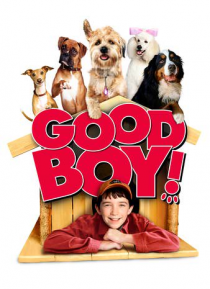 IHG® Rewards Club - Movies - Good Boy! Thousands of years ago, dogs from the "dog star" Sirius came to colonize and dominate Earth. Lately, rumors have been spreading across the galaxy that the earth dogs may have strayed from their original mission, To solve this mystery, one interplanetary scout dog comes to Earth to investigate, and is quickly introduced to the unusual lifestyles of dogs on this planet. Adopted by a young boy, he is… relunctantly drawn into a deep and lasting friendship in this hilarious and heartwarming family comedy.